Few fields offer so much promise to leverage new knowledge and technology than does medicine and health care. Progress can still be slow and frustrating, but there are tremendous breakthroughs occurring in our understanding of genetics and of the brain. 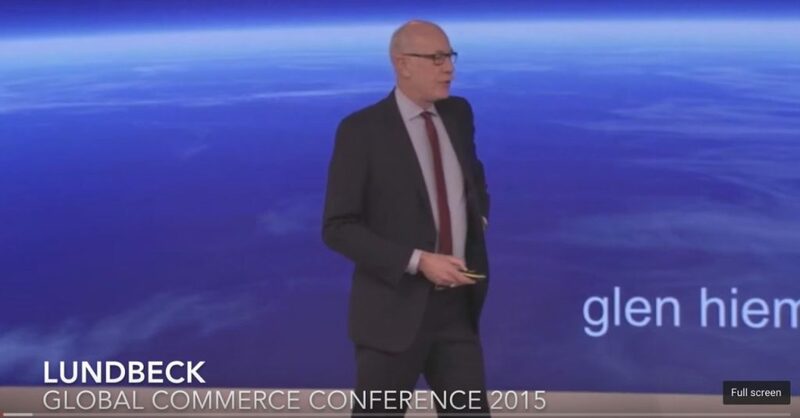 Lundbeck, a Copenhagen-based pharma company that focuses on disorders of the brain and the central nervous system asked me to keynote their annual global commerce conference, with a focus on leadership for developing breakthrough thinking as they imagine the coming decades in brain research and development. I was pleased to do this program on the future of health care and medicine. I learned a lot about current research in brain science, particularly at the Paul Allen Institute for the Brain right here in my home town of Seattle. 1. Hacking the brain – the first full models of intact brains, in this case mouse brains at the Paul Allen Institute, are paving the way to using computing power to model all the neurons and all the connections between them in a brain for the first time. 2. Diagnosis of brain and other disorders via DNA analysis. 3. Global teamwork – more private and university labs than ever are both conducting research and, importantly, sharing their results with other labs collaboratively and in near real time, leading to faster progress. 4. Rejuvenation through young blood. Experiments with animals are showing that simple blood transfusions of younger blood can lead to dramatic down-aging and disease improvement. 5. Systems pharmacology. Understanding the interactions of both biological systems and various drugsis leading to more precise treatments with fewer unintended consequences.